EasyNetSites is a suite of web-based tools designed for today’s genealogical, familial and historical societies. 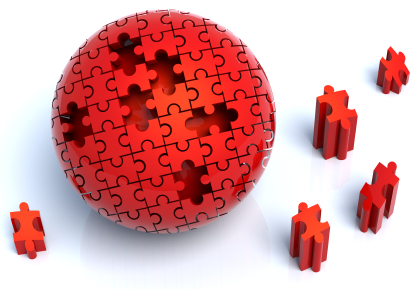 EasyNetSites solves your website puzzle by making you the webmaster. We put the creative power in your hands and your organization saves money. Plus it’s so easy… even for those who don’t speak a word of computer! If you can use a word processor and fill out a simple form, you have all the necessary skills to create, maintain and update your own website – whether your organization has 10 or 1000 members. Our simple, intuitive program makes it a snap to manage all the content on every page of your site. And our easy-to-use “editing permissions system” allows you the flexibility to assign specific individuals the ability to maintain and update only the areas and functions you select. The tools included in EasyNetSites allow you to quickly and easily create web pages with no programming required. At the heart of the EasyNetSites app is a Membership Management tool which features a dues, expiration and reporting system that totally eliminates passing around spreadsheets and mailing lists. You can also create and send emails (including multiple attachments) to all your members with just one click using the Blast Emailer. Simplify your organization’s management processes, better serve your members and watch your society grow! EasyNetSites will work closely with you to customize your site and help you achieve your organization’s goals. We also offer design updates for a fresh and exciting new look as well as professional writing services and data entry if you need them. Call us today at 813.269.4455 or email AskUs@EasyNetSites.com to find out more about how we can make your website issues easy for you – Puzzle Solved!